Manchester United have included Bastian Schweinsteiger in the Europa League squad ahead of their challenging knockout stage, the club has confirmed. Teams are allowed to add up to 3 players to their team, and United decided to register Schweinsteiger. Ironically, Jose Mourinho almost froze the veteran German midfielder out of the first team when he took charge in the summer, with the 32-year-old former Bayern Munich star falling so far down the pecking order that United even chose to write him off as an asset in their accounts. 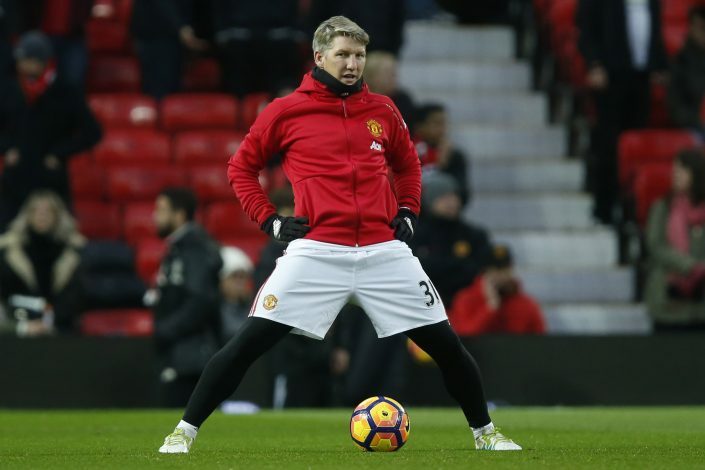 However, things have changed, Schweinsteiger made a sensational return from the cold and having made two substitute appearances, he marked his first Manchester United start in more than a year as he scored in the 4-0 FA Cup fourth-round win over Wigan last weekend. Joel Pereira, on the other hand, was initially brought in but as he is ruled with a knee injury for the rest of the season and United were forced to cut short Dean Henderson’s loan at Grimsby and call him back. Schweinsteiger will now take the place left by recent departures of Morgan Schneiderlin and Memphis Depay. However, United have omitted Cameron Borthwick-Jackson from their latest squad list. Borthwick-Jackson is still on loan at Wolves but hasn’t played in nearly three months, maybe that’s why United decided against recalling him last month.